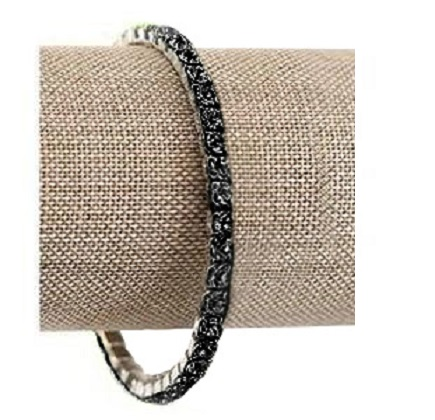 Beautiful JET BLACK crystals make this Swarovski bracelet sparkle! On pretty silver tone rhodium (no tarnishing) this looks FAB on its own, or stacked with all of your favorite bangles & baubles. Often mistaken for diamonds, these make such a pretty treats for anyone on your gift list - including YOU!